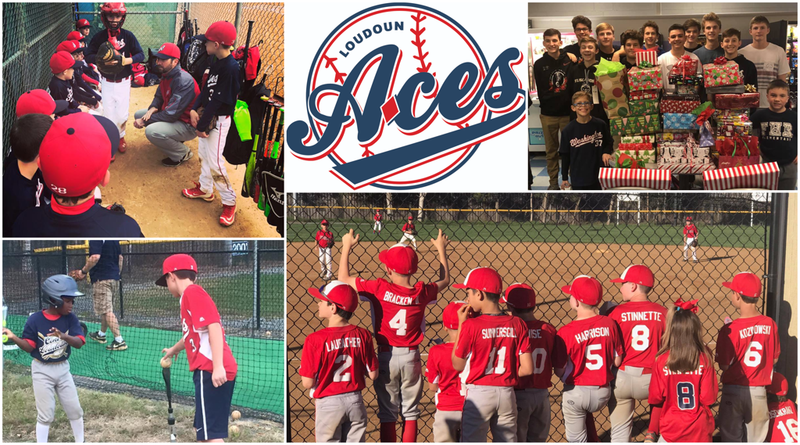 On any given weekend during the spring and fall months, dozens of players wearing the Loudoun Aces colors line the fences at Good Times Park to watch siblings and friends play. The sense of community formed within the program brings players of all ages together and keeps them locked into every pitch. A decade ago, that community first took shape under the leadership of former president Kevin Bednoski with the inception of the program’s first 9u team. The Aces provided an opportunity for players in Central Loudoun Little League to supplement their development with a travel program and compete outside of Little League play. It didn’t take long for the league to collect district champion banners to cover the snack bar and outfield fences, including the league’s first District 16 Little League title since 1984. The Aces have added at least one 8u team every year since 2009 to replenish the program with new players and coaches as the teams advance in age. Continuing the tradition of the program and ensuring all 10 teams have the proper coaching and resources is the top priority for Sweeney and the rest of the executive board. Giving back to the community with scholarships, fundraisers, relief efforts and collection drives are also important initiatives the board has instilled within the program. Over the last year, the Aces contributed three scholarships to local students, collected over 1,000 pounds of food and donated dozens of toys to a local charity over the holidays. This spring, four graduating high school students from Riverside, Tuscarora, Heritage and Loudoun County will receive a $500 scholarship from the Aces to go towards their school of choice. Applicants must have played with the Aces at some point in their life and submit an essay explaining the impact the program had on their development as ballplayers and members of society. “It’s a give back to them to show we respect and appreciate them coming through our program and we hope they have learned a lot that will help them as they head into college,” Sweeney said. At the core of the Aces family is establishing mentors for the younger players. Every season, an older Aces team will partner with a younger team and practice together. This allows the younger players to learn from a peer only a couple years older than them and see the necessary skills needed at that age level. Older players also become positive examples for the younger players by showing up for food drives and stressing the importance of giving back to the community. Bonds are created and players get joy out of watching their mentor or mentee succeed on the ball field. For Aces players, learning how to hit a curveball or properly turn a double play from a teammate is the start of a friendship that may last a lifetime. The varsity team, who may be playing together for the last time this summer, has played together since they were eight years old with a core group of players that have been friends for over a decade. That cycle will continue next fall with the formation of an Aces 8u team and a new group of faces surrounding the backstop, trying to get a view of the game. For more information on the Loudoun Aces, visit LoudounAces.com. Photos provided by Loudoun Aces Baseball.